WIN 1 free ticket to Fresh in Barcelona 21-23 June: Simply contact us before Wednesday 17th June, 4pm CET. First-come, first-served! 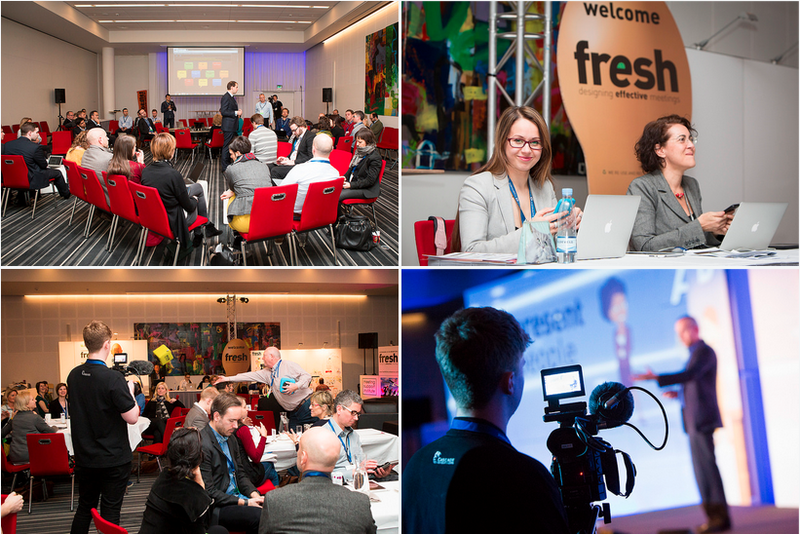 Once again this year, Klewel is happy to be the Webcasting partner of the FRESH conference taking place in Barcelona, Spain, on 21-23 June 2015. The FRESH conference is where meeting planners, designers and organisers meet to experience the future in meeting design. Take a dive in new formats, test the latest technology, get hands on with fresh techniques, discover start-ups, experience acts and more. FRESH is a ground-breaking incubator, a super innovative melting pot and a No-rules pressure cooker for meeting design. FRESH15 is about art & inspiration. The previous years were already webcasted by Klewel. You can find here many inspiring talks and sessions. Building and leading a successful meeting team by Kurt Mauerhofer. Fritha Knudsen gave the last keynote of the 2014 edition about the same topic.